Nike's marketing pitch: Fast speedster with a smooth ride. Upper: Engineered mesh, Flywire cord based lacing. 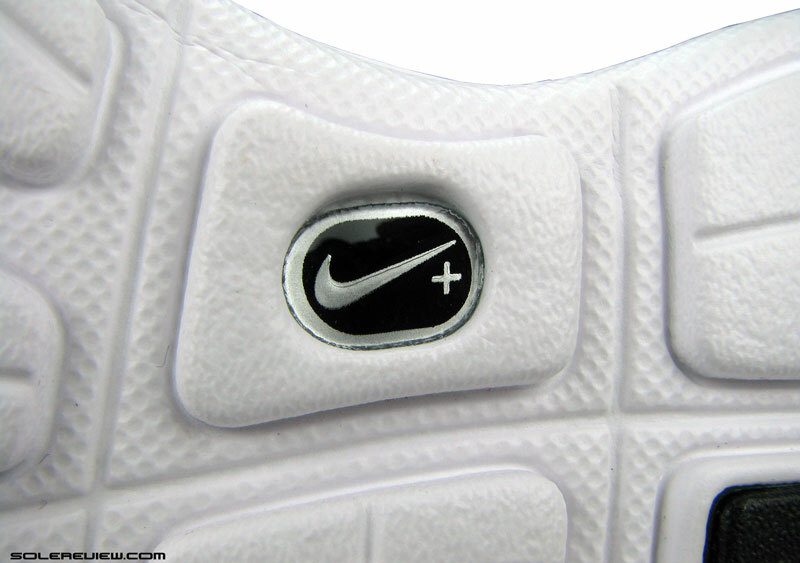 Midsole: Softer Nike Lunarlon within a firmer EVA core, Nike+ cavity inside left shoe. Outsole: Carbon rubber in high wear areas, exposed foam. A super lightweight shoe for those fast, yet cushioned runs. The upper fit has a snug quality. We’ve had this shoe for over a year before reviewing it. We bought this shoe more than a year ago, and the only reason for doing so was to have a reference point for the Lunartempo review. But since we paid good money for the Lunaracer 3, thought might as well write a full review. This isn’t solereview’s first encounter with the Nike Lunaracer. The first version of this cushioned lightweight made its debut in 2008 in Lunarlon’s heyday – and back then it came with the original Vectran based Flywire design, and not the watered down, cord based design used these days. A chip from the past – the Lunaracer 3 is one of the last surviving Nike shoes to feature the ‘Nike+’ pod cavity. 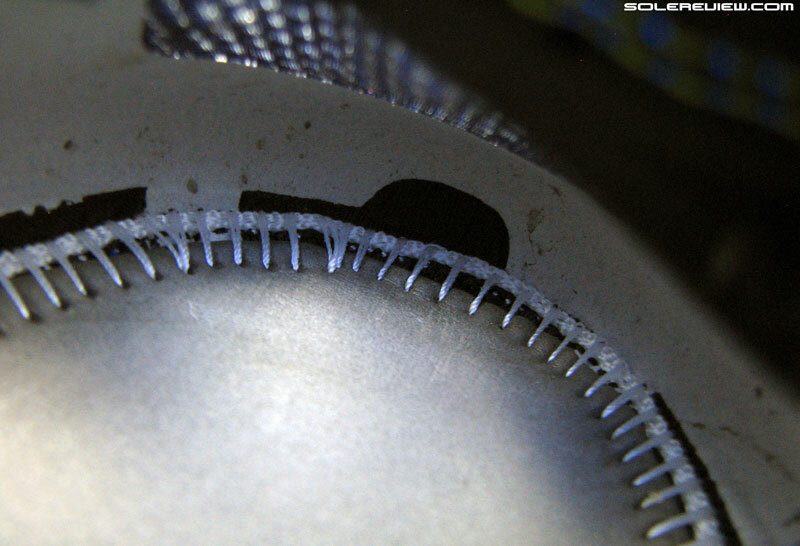 Lift the left shoe insole, and there you see it – the cavity for plonking in the first generation Nike plus transmitter. The Flywire dilution aside, the shoe’s core character hasn’t changed over the years. The midsole used on the Lunaracer 1 still serves on the 3; even the latest Lunaracer 4 uses the same injection molded EVA sole with the Lunarlon core. The only difference is that the LR4 does not have the nikeplus cavity which our pair of the LR3 has; given that in-shoe pods have become redundant thanks to built-in accelerometers of smartphones and wearables. That, and the new upper design of the LR4 married to the familiar midsole. The midsole design hasn’t been updated since 2008. Even the next model (Lunaracer 4) has the identical sole unit. 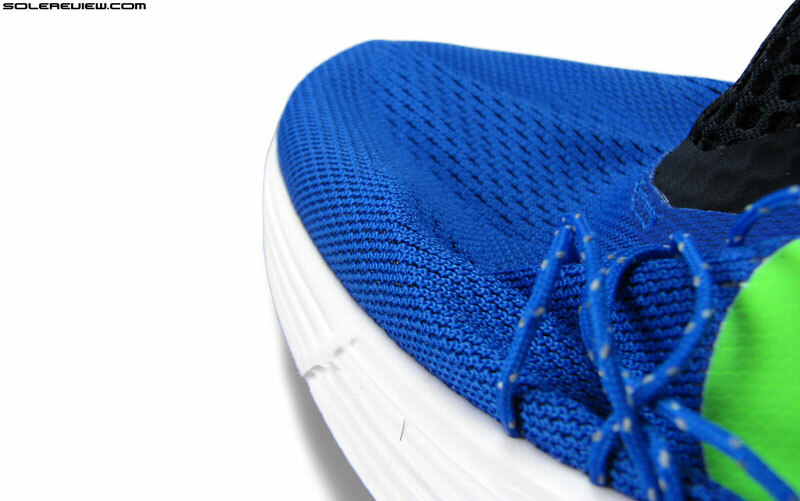 With the same midsole comes the same ride experienced on the original 2008 Lunaracer. The soft Lunarlon is embedded inside a firmer EVA midsole, the walls of which resembles an accordion. When we first ran in the Lunaracer 1, we were taken aback by how lightweight it was. The weight of a single US 11 half pair was lighter than the cardboard box it came packed in. No kidding. There are other lightweight Nike shoes, but none blends sub 7 oz weight and cushioning like the LR does. Even for a sizable US 11, it is less than 200 grams or 7 Oz. The Zoom Streak versions comes close at a few grams over, but then those shoes have a different ride quality. The Streak LT is lighter, but then that’s more of a purist flat than a cushioned speedster which the Lunaracer is. The Lunaracer 3’s three material tongue. The tongue edges are soft to prevent chafing. This design is also seen on the Zoom Streak and Zoom Elite upper. 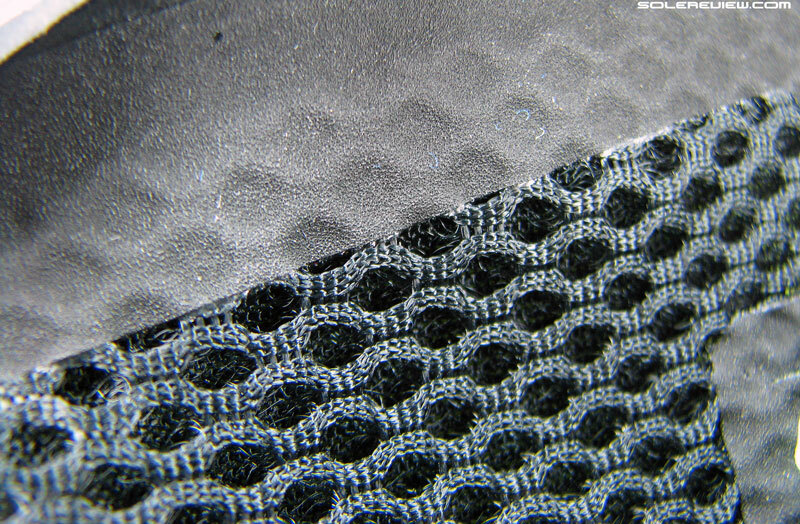 The tongue mesh and synthetic are bonded together, not stitched. The Lunaracer does share a few parts with the bigger Streak 5, though. Like the collar and tongue design and material, for instance. The tongue is a composite formed by three layers – a spacer mesh, a rubbery synthetic on the top and a softer synthetic underneath and around the tongue edges. The softer corners prevents the tongue from chafing the skin. 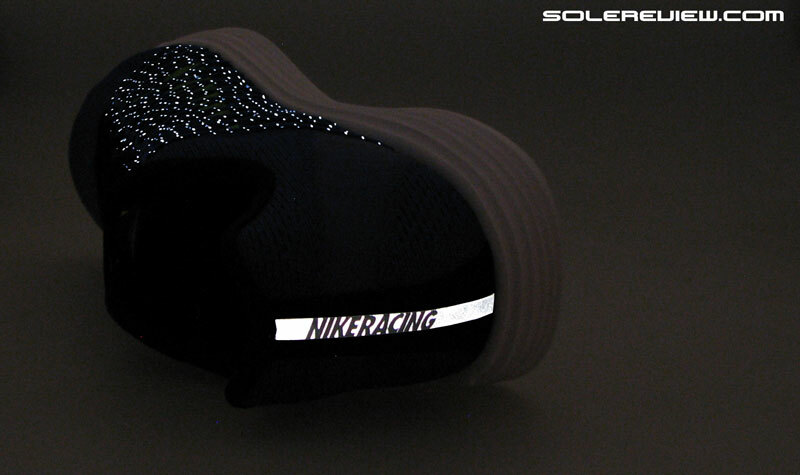 The Lunaracer 3 uses the same lining used in most of the Vomero versions. Sparsely padded, but soft. The heel does not have an internal counter and is collapsible. That said, the center strip and laminated sides gives it some structure. The heel strip is reflective, and so are the sides. The midfoot Flywire cords are reflective in a planetarium kind of a way. The collar padding has an utilitarian feel to it, and lacks an internal supporter. Despite the lack of a counter, the heel isn’t completely devoid of structure. Laminated strips flank either sides, and there’s a reflective band running vertically down the center. You can however, collapse the heel if you press down on it. 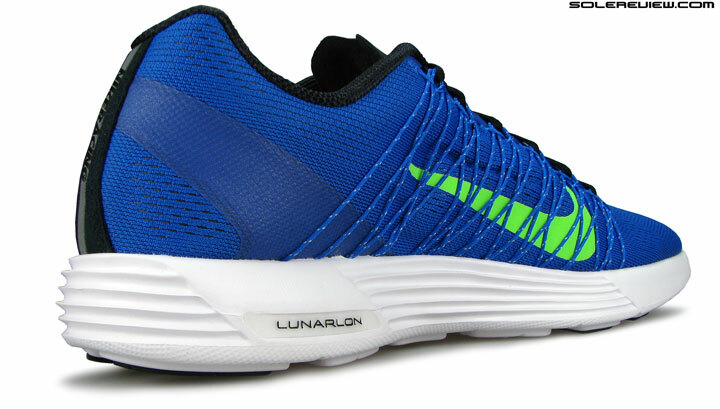 This is similar to this year’s Lunartempo 2’s heel design. Speaking of which, if you haven’t read our Lunartempo review, we’ll just sum that shoe up in a paragraph. We spent a lot of time comparing the Lunartempo to the Lunaracer in our previous reviews, so in this case, we’ll simply have to reverse engineer that comparison. The Lunartempo is simply a firmer version of the Lunaracer 3. 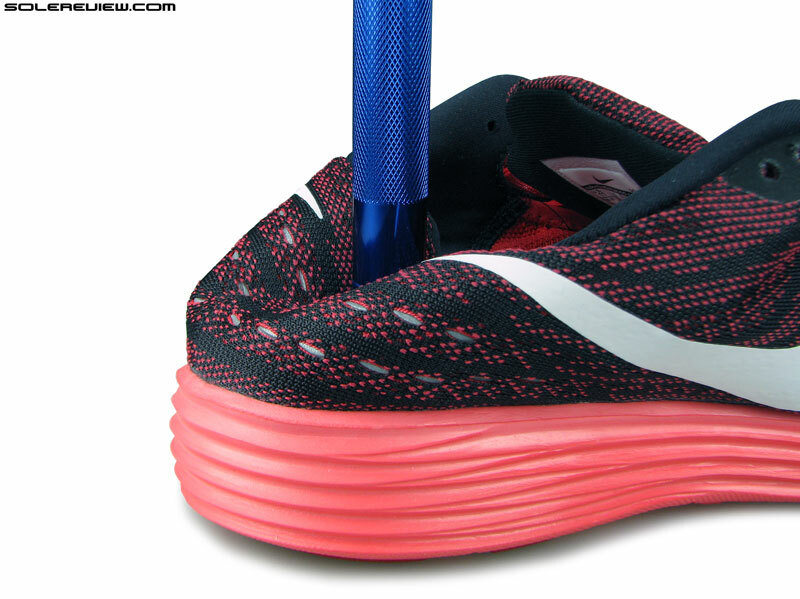 There is more cushioning depth in the Lunartempo, but the ride isn’t as soft as the LR3. There also happens to be a bit more structure in the Tempo’s built, which makes the shoe being 15% heavier than the Lunaracer. 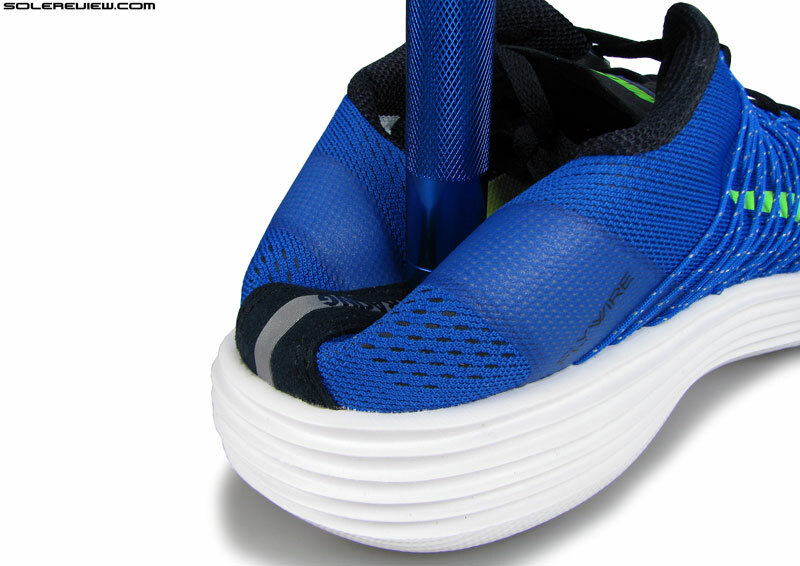 The Lunaracer 3 has a relatively deconstructed upper, as evident in the spartan tongue and heel design. Also, the latest Lunartempo 2 has something which the Racer 3 doesn’t – an inner sleeve, which changes the quality of upper fit. As far as the original 2009 Lunaracer was concerned, it appeared to be deeply influenced by the 2003 Nike Mayfly’s design language. A barely-there upper glued to a super lightweight EVA midsole, protected by a few bits of rubber. The basic premise of the Nike Mayfly was to be just enough of a shoe to last a few races, and then self-destruct – inspired by its namesake, the Mayfly. A version of the adult Mayfly lives for only 5 minutes. 100 km was supposed to be that shoe’s mileage, and no more. Run a couple of marathons, and then end of life. The way we see it, back then the Lunaracer concept was a more built-up version of the Mayfly. 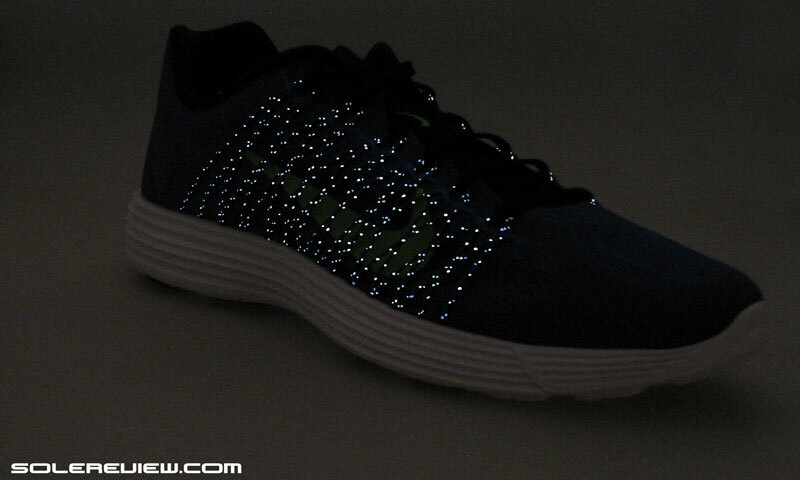 The Lunaracer upper had more bits glued on it, and a higher number of rubber pieces serving as the outsole. That said, the Lunaracer V1 had a greater Mayfly influence than the current version. The 2008 Racer used soft synthetic suede over its toe-box and first generation Flywire, resulting in a look and feel far more premium and cleaner than the present day Lunaracer. Do you see the white foam in contact with the screwdriver head? That’s Lunarlon. We highlighted the use of the same midsole all these years, so the ride character is the same old. 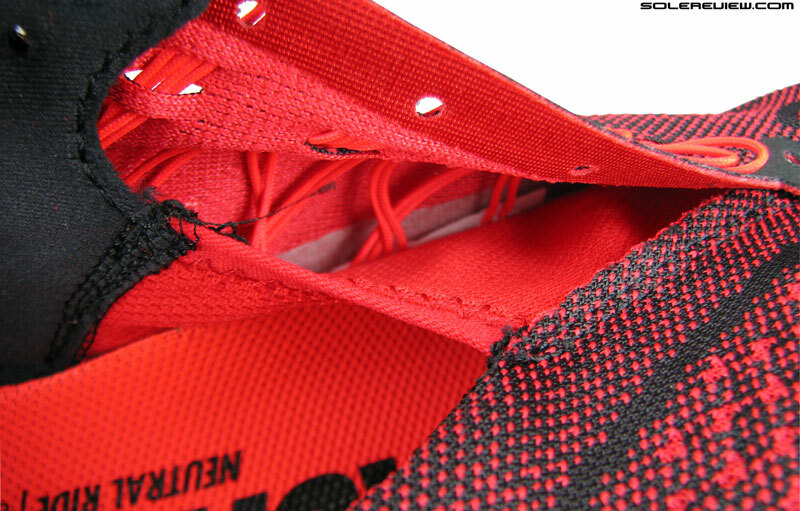 Slit open the foam lasting, and the insides of the midsole has the identical Lunarlon core. The external sidewalls have molded ribs running horizontally, an aesthetic language also seen on the Lunartempo. 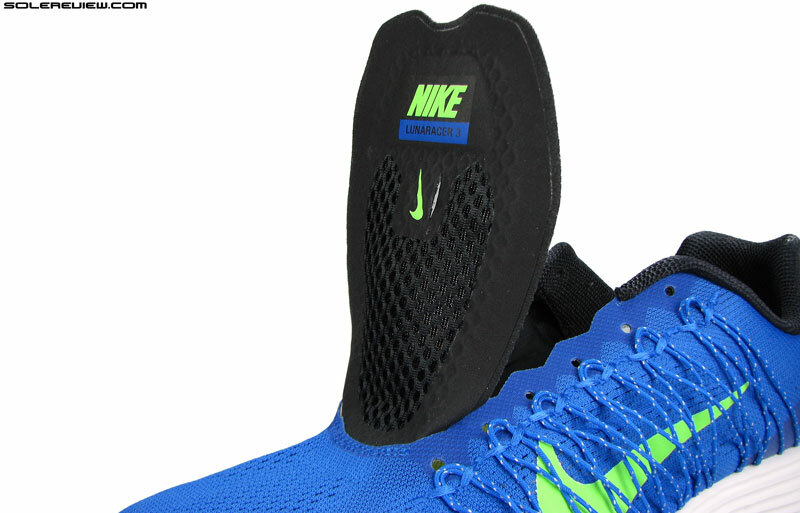 The insole has a generous arch flare on the medial side. 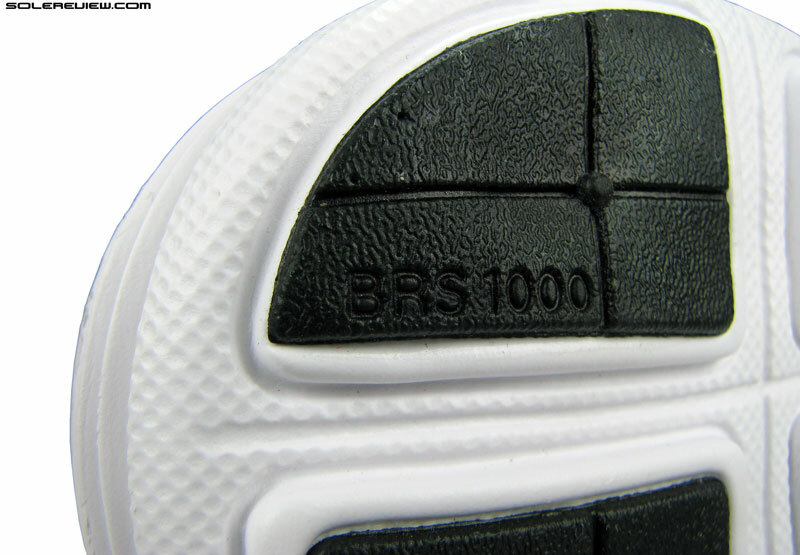 The insole material is compression molded foam. The insole is a sheet of compression molded EVA, with a distinct arch flare. This flare puts a few millimeters of foam between the foot and the narrow midsole waist; although the midsole sidewalls are relatively soft and do not cause any discomfort. Perhaps it is a larger volume of internal Lunarlon inside the midsole which makes the Lunaracer 3’s ride marked different from the Tempo 2. We can’t say for sure, but given that the insole and foam lasting isn’t softer than the Tempo, a higher volume of Lunarlon could be the reason why the ride is softer. The cushioning softness isn’t of a subtle nature. With each landing and transition, you distinctly feel the compression, the softness of the midsole – but without the mushiness. 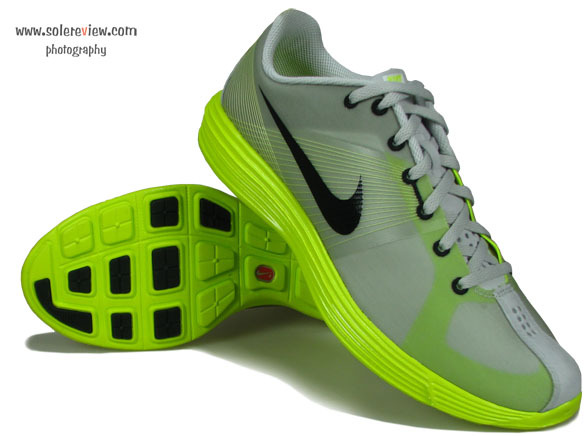 And this is what gives the Lunarlon a well-rounded utility range, be it daily training workouts or a marathon. We definitely feel there’s enough cushioning on both the Racer 3 and Tempo to last a marathon. But if you need more cushioning without adding weight, then we’ll say the same thing as we did in our Lunartempo 2 review – get a pair of the Hoka Clifton. Slightly heavier, but with bottomless cushioning. Most will agree though, that a shoe like the Lunaracer 3 is perfect for a 10k and a half marathon, even if you don’t want to use it for a full marathon. For a race shorter than 10K, a firmer and flatter Nike like one of the Streak variants is a recommended tool of choice. A shorter distance like a 5K race gets over pretty quickly, and most runners can do without a lot of cushioning, but will get the benefit of a ‘faster’ feel (purely psychological though), courtesy of the firmer midsole ride. The Lunaracer 3’s dual material construction is linear in nature, keeping the ride smooth and supportive. The ride is very smooth and supportive too. Shoes with a uniform material from heel-to-toe have this quality, and the Lunaracer with its full length Lunarlon insert and single piece midsole covering delivers the said midsole behavior. The softer core encased within firmer surroundings keeps the weight centered, and on a side note the Lunaracer 3 has a case of medial side support. The medial (inner) sidewall has more support than the lateral (outer) midsole. If you look at the medial side, a small portion of the midsole sidewall is free of the molded rib lines. 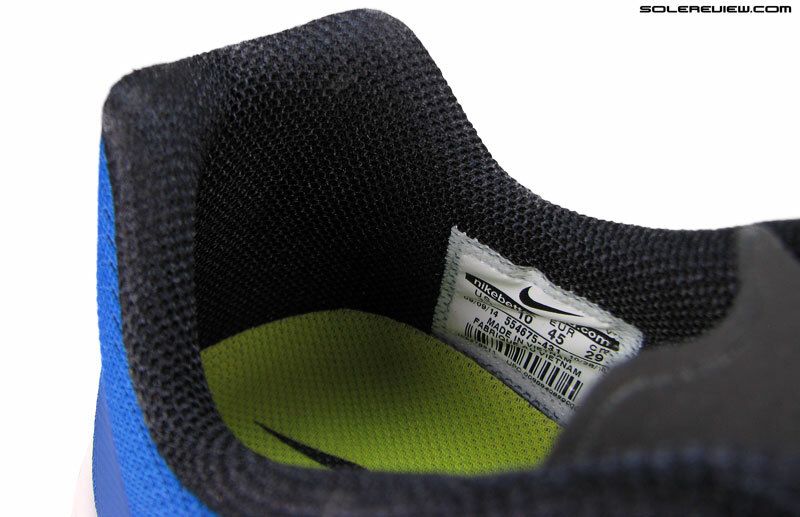 The surface is smooth, and as a result more difficult to compress than the rest of the heel midsole. This reminds us of the New Balance 1500’s small medial post. Of course, that is a completely different shoe with a much firmer ride quality, but the design treatment is somewhat similar in the aspect of medial side support. The outsole isn’t completely bereft of runner. Angular shaped pieces are used under the forefoot and heel. 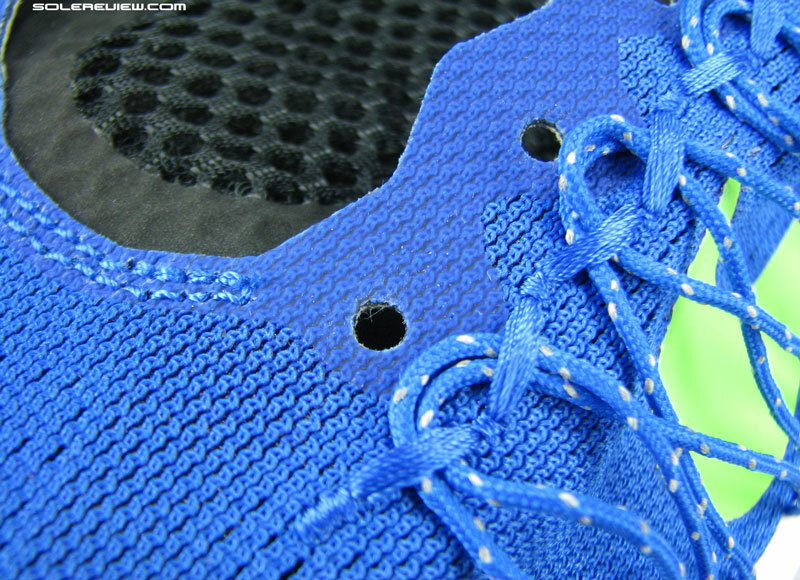 Rubber lugs are mounted on the EVA foam midsole. Can the Lunaracer 3 be your daily trainer? Yes, if you’re ok with durability levels lower than say, a Pegasus. 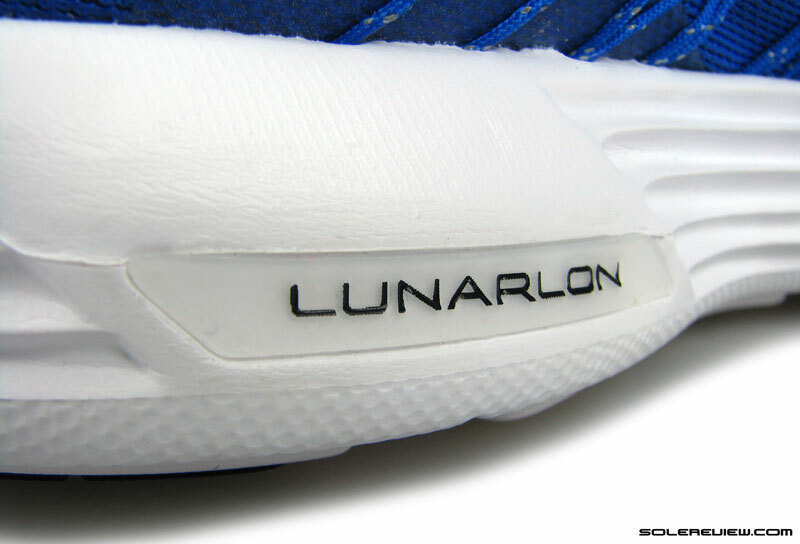 There isn’t much outsole rubber underneath, and besides, Lunarlon isn’t the most durable of materials. So while you’ll get at least a couple of hundred miles out of the Lunaracer 3, expecting it to last north of 500 miles might leave one disappointed. 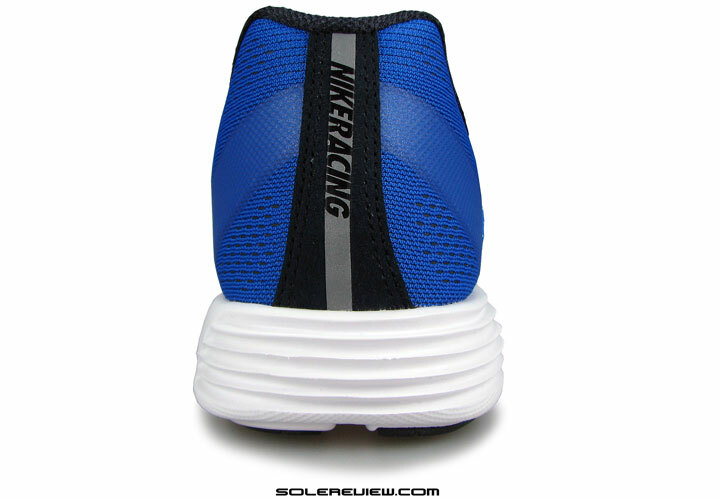 But as long as the going’s great, the Lunaracer 3 is a cushioned featherweight which feels great to run in. And the upper isn’t bad either – oh wait, we almost forgot to talk about the Lunaracer 3’s upper. 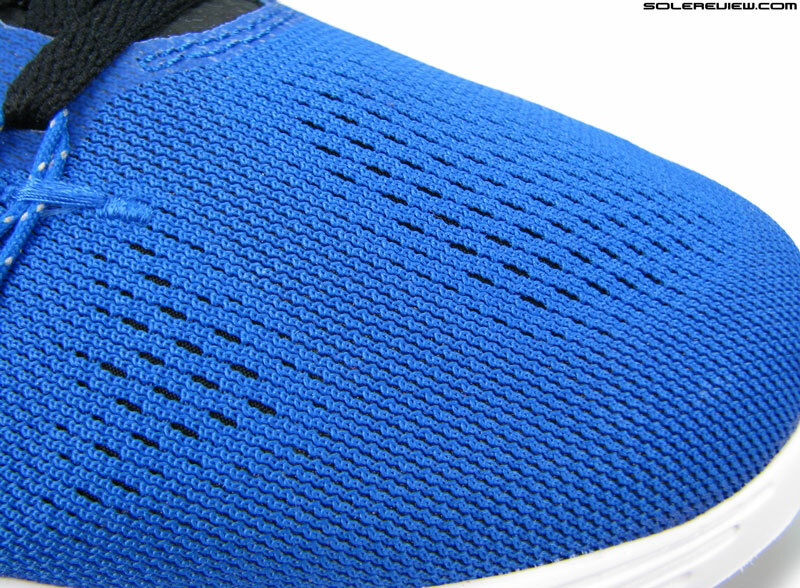 The upper is built using a single layer, engineered mesh. The non-vented part over the forefoot has a supportive frame underneath for shape retention. All eyelets on Lunaracer 3 are connected to these reflective lacing cables. That’s a LOT of looping. The eyestay is back-reinforced with another layer so that the eyelets don’t rip out over time. The eyestay has a transparent laminate on the outside to prevent eyelet fraying. The Lunaracer 3 weighs so less, and there’s a reason for that. Most of the shoe is an example of stripped down minimalism, the upper included. The outer covering is constructed using a single piece engineered mesh which is joined only at the heel seam. 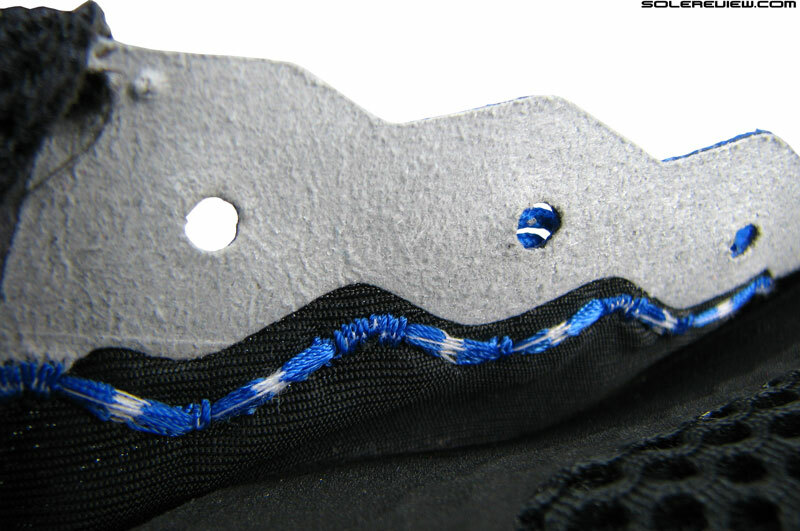 The tongue is a separate component, and the lacing connects to these reflective Flywire cords over each eyelet. The Swoosh logo is painted on, and the eyelet panels are reinforced by a laminate on the outside and a backer lining on the inside. So basically, there are barely any seams except for the area under the first row of lacing. This is the place where the sleeve-less tongue is joined to the upper, and you can feel a bit of material bunching here. That’s an exception, because the rest of the upper interior happens to be very smooth because of an internal lining. 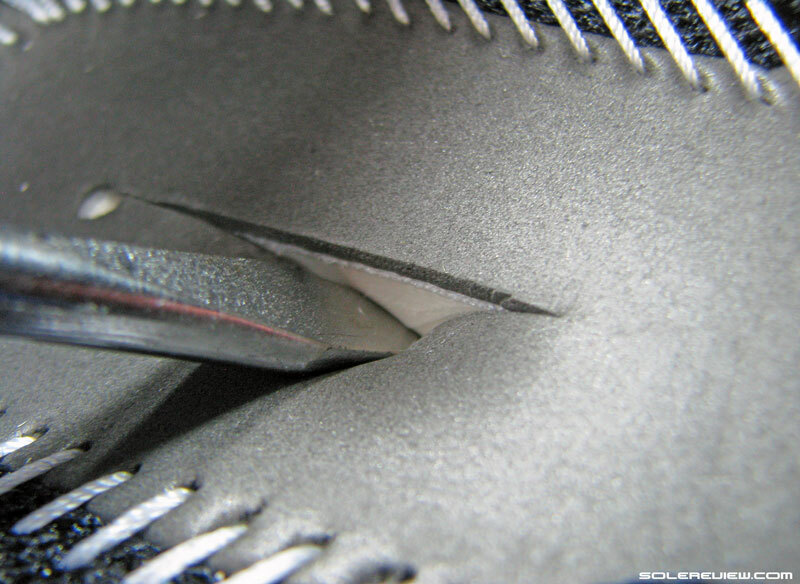 The Lunaracer 3 comes with an internal lining which covers most interior imperfections. The internal lining does not cover the toe-stiffener, but does a pretty good job at making the rest of the midfoot interiors smooth. 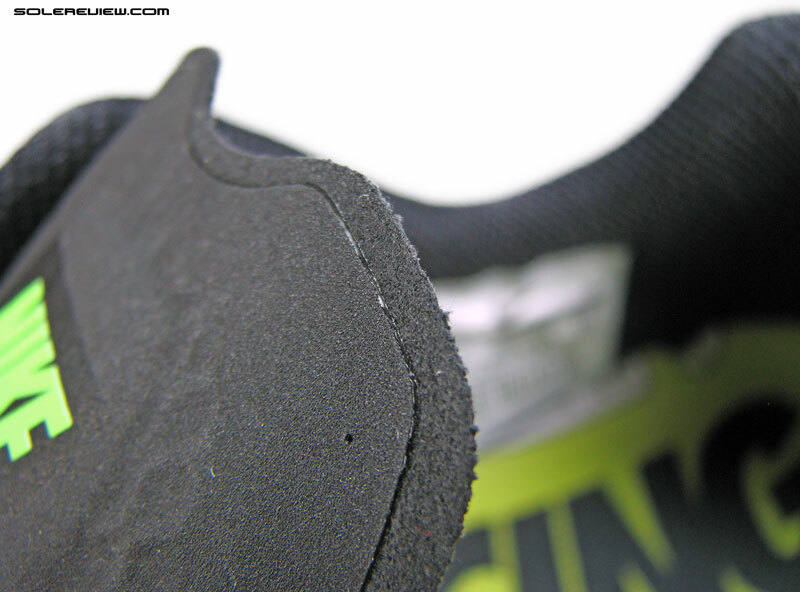 There is a full lining inside the Lunaracer 3, starting right from the collar-midfoot line to the toe-tip. This masks the Flywire lacing pressure, and stop right short of the internal toe-bumper. 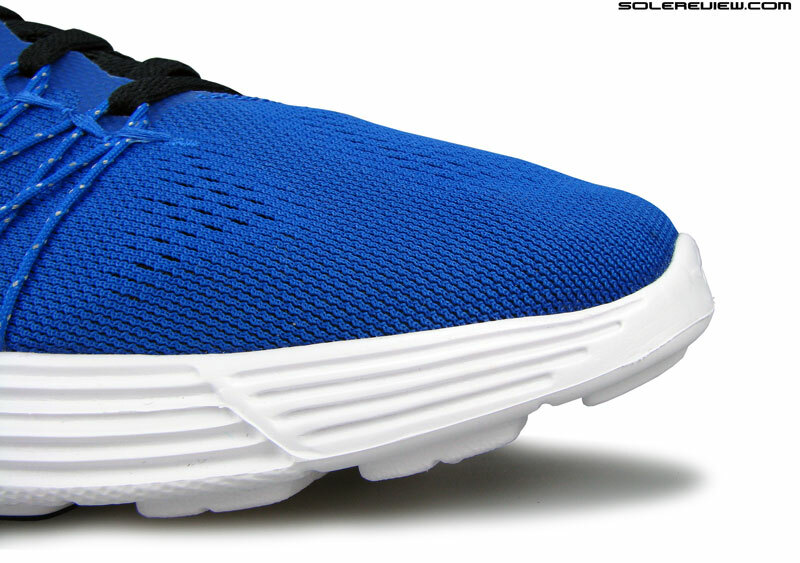 The Lunaracer 3 has a firmer substrate underneath the toe-box and the forefoot to give that area structure. Even last year’s Lunartempo had this, the only difference being that the Tempo did not have the lining back then (The LT2 does). The toe-box is shallow, much like the Streak and Tempo. The lining does not cover the toe-stiffener, and yet the LR has none of that ‘toe-catch’ feeling experienced on the LunarTempo 1. The LT1’s toe-stiffener had the tendency to ‘catch’ on the toes, resulting in a minor annoyance. 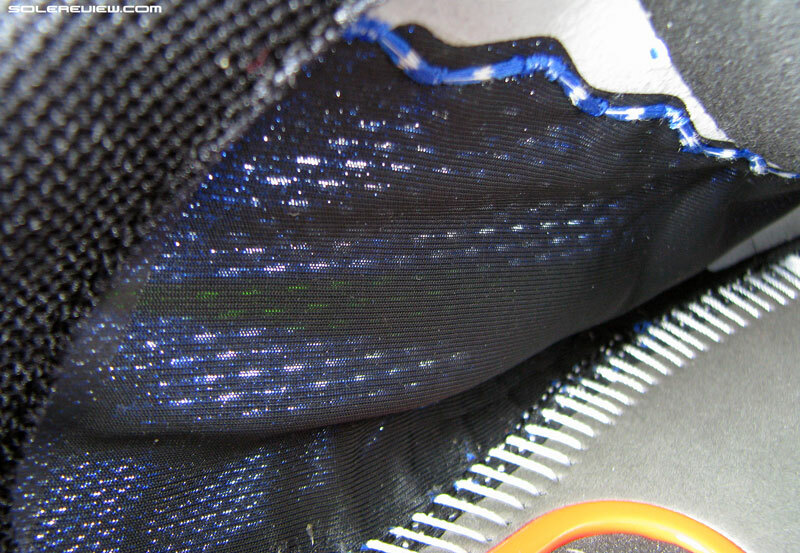 The Lunaracer 3 steers clear of such behavior, although the lining fabric does not cover the stiffener. The LR3’s toe-box might be shallow and the forefoot snug, but probably the flush sitting design of the stiffener gives the insides a better fit. An inner lining also makes a shoe upper durable, which is a bonus for a shoe which has so little of an upper. Mind you, the version of Flywire used here isn’t the same as the one used on the 2008 Lunaracer. 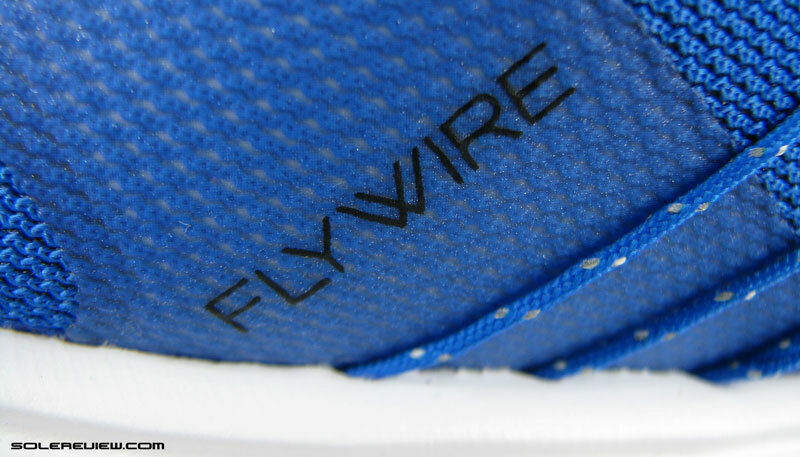 100% Flywire cinch produces a snug midfoot fit. 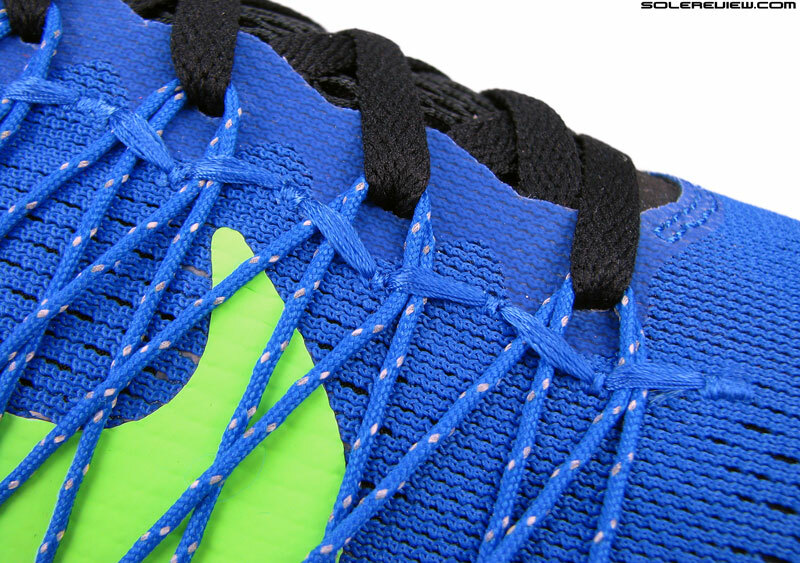 The midfoot is snug, because 60% of the upper side is cinched by a dense cluster of Flywire lacing cords. If you pull on these strings firmly, the mesh upper tends to bunch up. That doesn’t look great, but other than that, there’s no harm done. The inner lining does an excellent job of insulating the foot against these minor oddities. In the rear, the heel collar grip is just about adequate. The Lunaracer and Streak have a minimally padded collar, and works well enough not to cause any slippage. Tongue slide depends on how tight you cinch the laces. Greater the distance between the opposing eyelet panels, higher the chance of tongue slide. If you bring the two sides of the lacing closer, the slide is nearly non-existent. 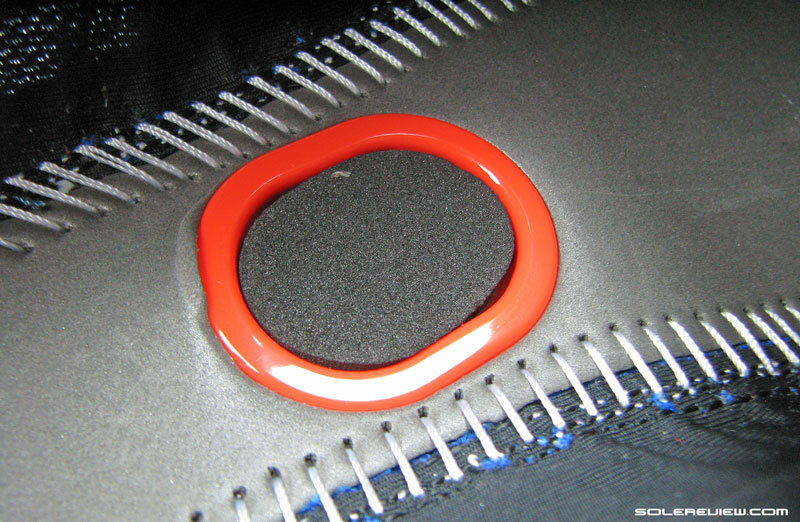 In any case, there’s a lacing loop on the tongue which prevents it from sliding too much sideways. As a whole, the upper fits well and smooth. There are no irritants which pop up during a run, and that’s critical in a shoe when you’re running for hours at a length. And if you need more padding on the tongue and heel, the very similar Lunartempo 2 is an alternative. This review also comes at a time when the Lunaracer 3 is halfway out through the door, and the latest Lunaracer 4 is showing up at retailers. That shouldn’t matter much, however, as both shoes share the same midsole. Even so, getting a pair of a marked down Lunaracer 3 will be a better example of financial prudence; after all, why pay extra for a brand new model which rides exactly the same as the old one?